From the moment you walk into Symphony of Buffalo Grove, you will feel as if you are in a five-star resort. Our tranquil and serene environment ensures the utmost comfort for our guests, whether they live here or are here to recover and get back home. 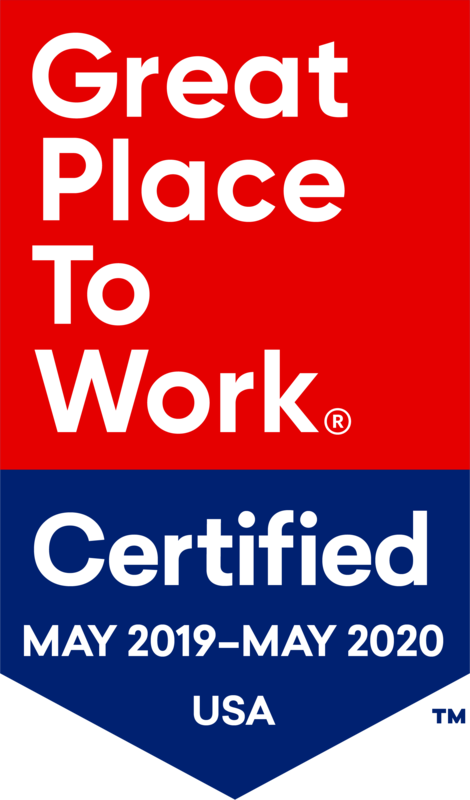 We have taken into account the unique needs of the Baby Boomer generation by combining a progressive healthcare model with the amenities and hospitality of a fine resort. Guests leave our facility feeling rejuvenated. 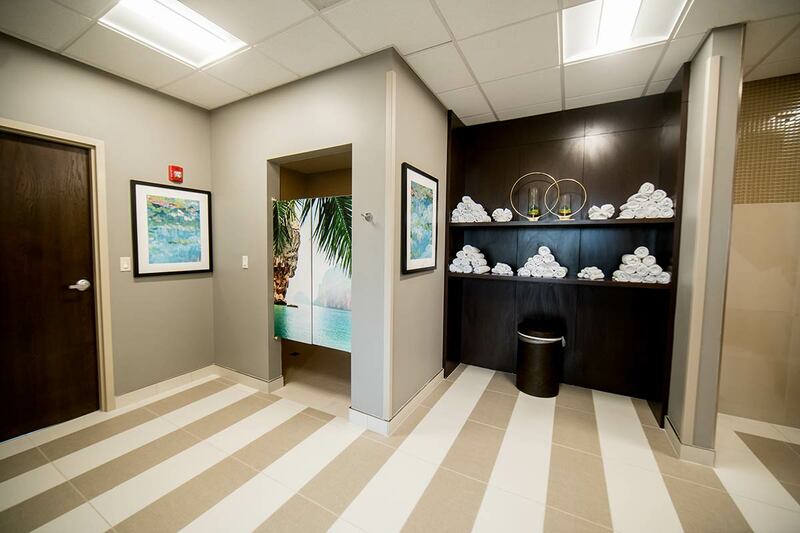 From our spa, featuring massage therapy, manicures, pedicures to our Buffalo Grove Perk Café, proudly serving Starbucks Coffee, we focus on healing the mind, body, and soul. Guests can expect five-star dining, with an executive chef on site, featuring a bistro and room service. 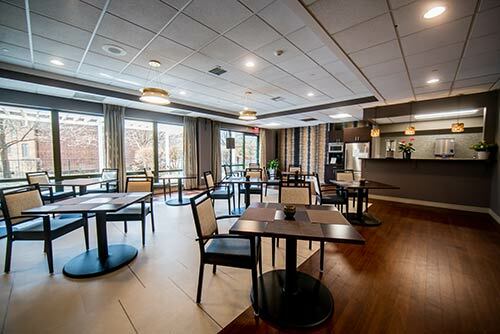 From our gorgeous resident suites to our executive chef prepared cuisine, cafe proudly brewing Starbucks Coffee and our state of the art therapy gym, our residents can expect pure relaxation and peace of mind. Our dining selections accommodate a variety of cultural and nutritional needs. Executive chef-prepared menus, room service and an impeccably designed dining room is available for guests and their extended families. 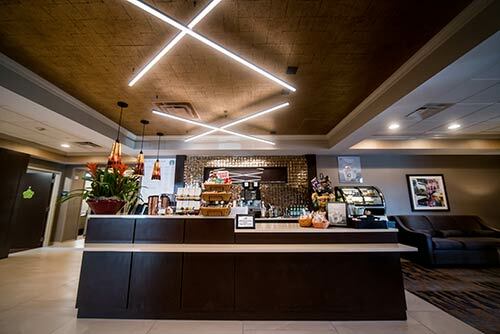 Buffalo Grove Perk Café, located on the first floor, is open from 8:30am – 5pm daily and proudly brews Starbucks coffee and serves pastries and snacks. The Symphony Spa offers a wonderful spa experience to help you nurture your mind & spirit. We offer professional services, including hair cuts and color, massages, manicures, pedicures and nail treatments at a reasonable cost. © 2019 Symphony of Buffalo Grove.